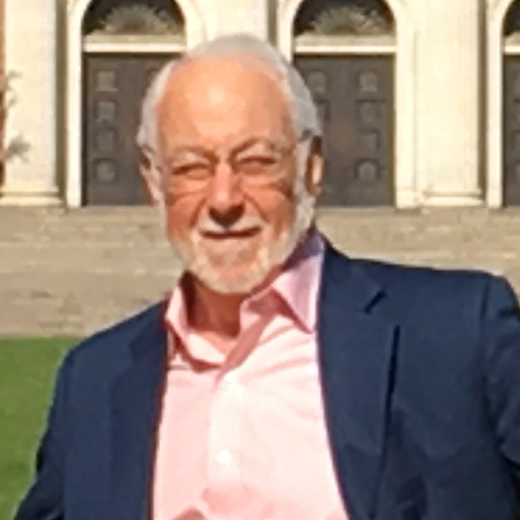 Jay Bourgeois (MBA ’70) is a professor of strategy and senior fellow with the Darden Center for Global Initiatives at the University of Virginia’s Darden School of Business. While serving as associate dean for international affairs and director of the Center for Global Initiatives, Bourgeois developed Darden’s global strategy and helped establish the school’s international footprint. Using his training at Tulane, Bourgeois has consulted to more than 100 corporations and governments around the world. He and his wife, Maggie (NC ’67), now split their time between Charlottesville, Virginia, and New Orleans, where they reside in his family’s ancestral home across from City Park. While in New Orleans, he has consulted pro bono to the boards of the New Orleans Museum of Art and Le Petit Theatre, where he serves on the advisory board. Melanie Kusin Rowe (MBA ’76) was recently honored by the Texarkana Independent School District as one of its 2016 Distinguished Alumni. 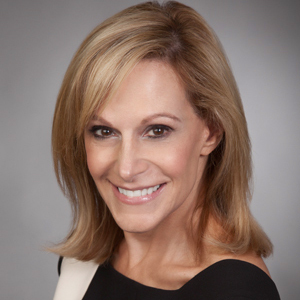 Kusin Rowe is vice chairman, board and CEO services, for Korn Ferry International in New York. Kusin Rowe has completed CEO searches across the global consumer space for Fortune 500 companies, privately held corporations and private equity firms. She also places board directors for major public corporations along with advising on succession management. In addition to her search experience, Kusin Rowe has authored articles and research around CEO succession and CEOs’ relationships with their boards. She has been a frequent contributor to the Wall Street Journal, Bloomberg, CNN and Harvard Business Review. Prior to joining Korn Ferry in 2010, Kusin Rowe served as vice chairman of Heidrick & Struggles, where she also led the Global Consumer Practice. Pat Norris (MBA ’77) is comfortably retired in the north woods of Wisconsin (with February, March and April in Charleston). He has two grandchildren, a boat full of sharp hooks and gets to visit New Orleans and eat twice a year. Life is good. William Donius (BSM ’81) has been named to the board of trustees of the Esalen Institute, a nonprofit organization that supports exploring and realizing human potential through experience, education and research. Donius is the author of the New York Times best-seller Thought Revolution: How to Unlock Your Inner Genius, which details his methodology to unlock innovation, intuition and creativity. Prior to writing the book, Donius spent 30 years in corporate America, including serving as chairman and CEO of Pulaski Bank in St. Louis. Ozgur Karaosmanoglu (A&S ’84, MBA ’87) shows off his Freeman pride high in the Peruvian Andes in the sacred city of Machu Picchu. 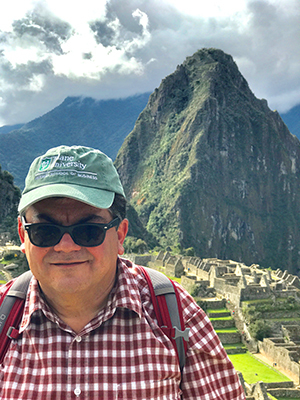 Karaosmanoglu, senior vice president and managing director in the Global Wealth Management Group of Raymond James and a member of the Business School Council, spent a week traveling in Peru, including visiting the famous Inca citadel and touring the Peruvian Amazon. Greg Katz (BSM ’88) served as a senior executive panelist at Career Wave 2017, Tulane University’s annual speaker series for undergraduate students. 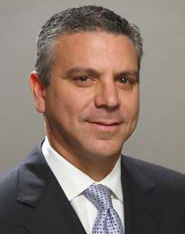 Katz is vice chairman of Newmark Grubb Knight Frank, one of the world’s leading commercial real estate advisory firms. Prior to joining the firm, Katz was an executive vice president with Studley (now Savills Studley). Dr. Regina Benjamin (MBA ’91) has been appointed to the board of directors of Diplomat Pharmacy, the nation’s largest independent specialty pharmacy. Benjamin served as U.S. 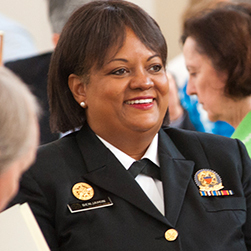 Surgeon General from 2009 to 2013. In that role, she oversaw the operational command of 6,500 uniformed public health officers serving around the world to promote and protect the health of the American people. Since 2013, Benjamin has served as the NOLA.com/Times Picayune Endowed Chair in Public Health Sciences at Xavier University of Louisiana. 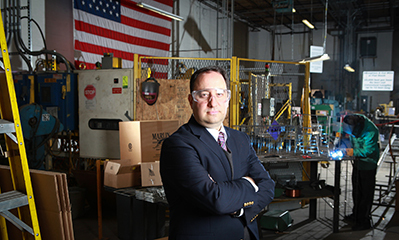 Drew Greenblatt (MBA ’91), owner and president of Marlin Steel, visited the White House in March 2017 to talk manufacturing with President Donald Trump. Greenblatt was part of a delegation representing the National Association of Manufacturers. He currently chairs the association’s Small and Medium Sized Manufacturers section. During the meeting, Trump announced the results of a survey showing a surge in optimism among manufacturers about the future of the industry. Greenblatt, whose company uses exclusively U.S. steel and produces everything in Baltimore City, Maryland, told the president he shares that enthusiasm and is greatly encouraged by the policies his administration is pursuing. Christy Thomaskutty (BSM ’96) has been selected as the next vice president of the Women’s Basketball Coaches Association. Thomaskutty recently completed her 14th season as head coach of the Emory University women’s basketball team. 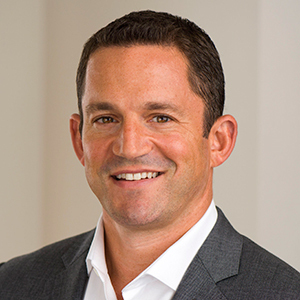 Adam H. Brown (MBA ’98) has been appointed as a portfolio manager for Delaware Investments’ Dividend and Income Fund. Brown, who serves as a senior vice president of Delaware Investments and senior portfolio manager in the firm’s taxable fixed income team, joined the company in 2011 as part of its integration of Macquarie Four Corners Capital Management, where he had worked since 2002. At Four Corners, he was a co-portfolio manager on four collateralized loan obligations (CLOs) and a senior research analyst supporting non-investment grade portfolios. Before that, he worked in the leveraged finance group with the predecessor of Wells Fargo Securities. Brian Housh (MBA ’99) recently ran for state representative for the 73rd district of Ohio. Housh currently serves on the Yellow Spring, Ohio, village council. Matt Schwartz (BSM ’99) received the 2017 T.G. Solomon Award for Entrepreneurship and Civic Engagement. The award is presented annually by the Times-Picayune and the Solomon family to honor New Orleans entrepreneurs who have emerged as impactful civic leaders. Schwartz, a member of the Business School Council, is co-founder and coprincipal, along with Chris Papamichael (BSM ’96), of the Domain Cos., a real estate development, investment and management firm headquartered in New Orleans and New York. The company specializes in large-scale community development with a focus on mixed-use, mixed-income properties. The firm’s developments in New Orleans include The Preserve and The Crescent Club on Tulane Avenue, the Ace Hotel, and the South Market District, a $450 million mixed-use development combining luxury apartments with retail, restaurants and entertainment venues. management for the Procaccianti Group, a real estate investment and management company, where he was responsible for underwriting the company’s hotel acquisitions and asset management of its hotel portfolio. Wade was a senior analyst in the acquisitions department of CNL Hotels & Resorts from 2002 to 2005, and he started his hospitality career as a consultant with PKF Consulting, a hospitality and real estate consulting firm, in 1999. Timothy Crowley (BSM ’02) has been named a 2017 recipient of Business Insurance magazine’s Break Out Award. The award honors 40 professionals from across the nation on track to be the next leaders in risk management and property/casualty insurance. Crowley, managing director of Crystal & Co. in New York, is one of 10 honorees representing the Northeast region. Davis has been responsible for overseeing AMC’s upcoming anthology series “The Terror,” which is currently in production. Shaun Sanghani (MBA ’03) is producing the Vietnam War film The Last Full Measure, starring Samuel L. Jackson, Sebastian Stan, Ed Harris, William Hurt, Christopher Plummer, Peter Fonda, Bradley Whitford, Michael Imperioli and Allison Sudol. The film is being produced via Sanghani’s company, SSS Entertainment. Mattias Westerberg (BSM ’03) has been appointed CEO of Bluewater, a Stockholm-based company that provides water purification solutions for homes, professional catering kitchens and light commercial operations. Prior to joining Bluewater, Westerberg served in key executive positions with BabyBjorn, the Swedish designer and manufacturer of functional and safe products for young children. Wendy Gehring (MBA ’05) has joined the U.S. Department of Transportation as director of scheduling. Prior to the appointment, Gehring served as a consultant with the Transportation Security Administration. She previously served as special assistant at the Department of Labor in addition to private sector experience ranging from Fortune 100 companies to small businesses. Alex Katz (BSM ’05) is entering his fourth year of owning and operating NOLA Motorcars and his second year of owning and operating NOLA Black Car. NOLA Motorcars is an independent luxury auto dealership, and NOLA Black Car is a luxury car and limousine service. Laura Wilt (BSM ’05, MBA ’14) was promoted to system vice president and chief information officer at Ochsner Health System in New Orleans. 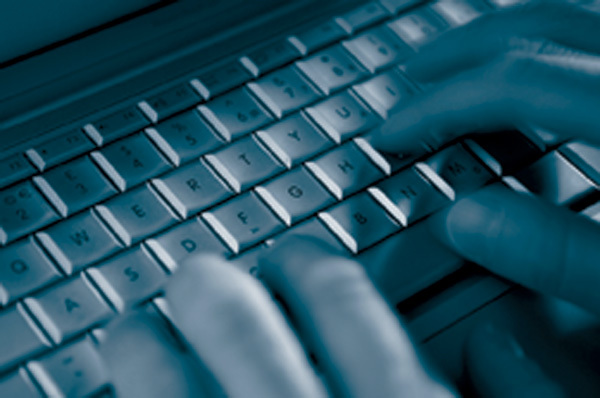 Jamal Brown (MBA ’07) has joined marketumbrella.org as its finance and administration manager. Marketumbrella.org is a nonprofit based in New Orleans that cultivates community markets that utilize local resources to bolster authentic local traditions. Marketumbrella.org offers assistance to farmers markets nationwide, including locally the Crescent City Farmers Market and the French Market. Prior to joining the organization, Brown worked for Liberty Bank and Trust Co. as investment development specialist and as New Orleans city director for the Black Alliance for Educational Options. 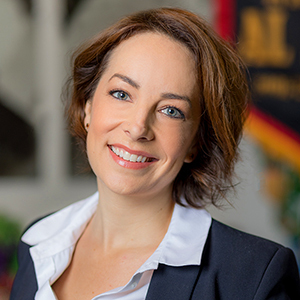 Emily Madero (NC ’02, G ’03, MBA ’07) has been named president and CEO of French Quarter Festivals Inc., the New Orleans nonprofit that produces the French Quarter Festival, Satchmo SummerFest and Christmas New Orleans Style. Prior to the appointment, Madero spent nearly 10 years with the Idea Village as COO and, most recently, acting CEO. She also served as an adjunct professor of entrepreneurship at the Freeman School. Jack Hoelscher (BSM ’08) and his wife, Kelli, welcomed a baby girl in September 2016. Ellis Mae Hoelscher is now 11 months old and happy as can be. Christopher Weems (BSM ’08, MFIN ’09) has been promoted to senior associate at Cotton Creek Capital, a Texas-based private equity firm focused on lower middle market companies. Weems joined the company in 2014 and has been active in the evaluation and execution of investment opportunities and responsible for the implementation of operational initiatives at Cotton Creek’s food and beverage investments. 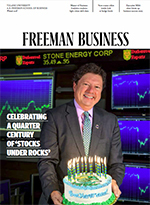 Prior to joining the company, Weems worked at Raymond James & Associates in St. Petersburg, Florida, in the General Industrials investment banking group. Randy Giveans (MBA ’09) was recently promoted to vice president – equity analyst in the Energy Maritime Equity Research Group at Jefferies LLC. Giveans currently focuses on LNG shipping MLPs and also covers shipping companies that transport crude oil, refined petroleum products, LNG, LPG, dry bulk commodities and containers. 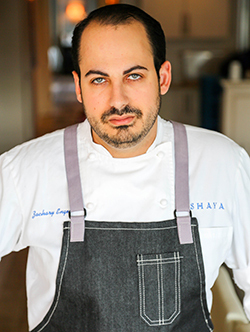 Zachary Engel (BSM ’10), chef de cuisine at Shaya, a contemporary Israeli restaurant in New Orleans, won the 2017 James Beard Award for Rising Star Chef of the Year. The award honors the nation’s top chef under the age of 31. Engel began his culinary career as a cook at Tulane Hillel and later worked at Domenica in New Orleans, at Catit Restaurant in Tel Aviv and at Madrona Manor in Northern California. He joined Shaya in 2015 after cooking in Philadelphia at Zahav, another celebrated Israeli restaurant. Jordan Pearson (BSM ’12) graduated in May 2017 from the MBA program at UC Berkeley’s Haas School of Business. In August 2017, he will join the Financial Planning and Analysis team at Google in Mountain View, California. He resides in San Francisco. Natalie Domino Person (MBA ’12) has been named director of consulting services at the Picard Group, a Lafayette, Louisiana-based governmental affairs and consulting services firm. In that role, she will work with the firm’s executive level consulting, which focuses on health care, finance, reimbursement, revenue cycle operations and managed care. Prior to joining the company, Person served as director of cash management in Dallas for Schumacher Clinical Partners, an emergency medicine hospitalist management firm. She started her career as an associate analyst for a hedge fund, Maple Leaf Partners, where she analyzed company and industry trends and prepared longterm operational and financial models to support stock recommendations.